8 1/4" overall. 4" carbon steel blade. 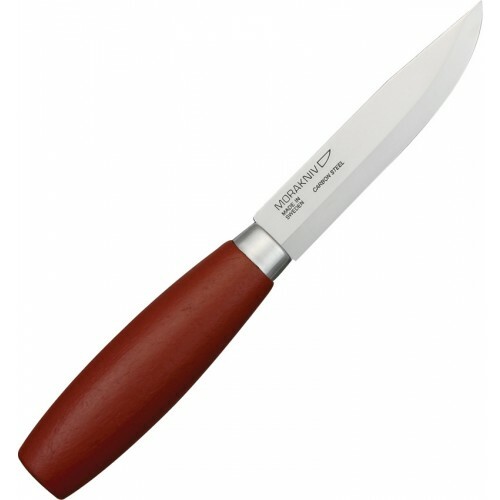 Red wood handle with stainless ferule. Molded black plastic belt sheath.